Are volunteers still relevant to the fundraiser′s work? If so, for what reasons? If not, why not? This issue looks atypically at volunteers and fundraising. Contributing authors examine fewer of the how–tos of working with volunteers and more of the psychological and psychosocial aspects of volunteers′ and development professionals′ personalities. The assessment extends to organizational characteristics, evolutionary stage and size, and the reasons that certain types of volunteers and fundraisers may be drawn to work with a particular nonprofit group. Moving from broad concept to microcosm, articles in this issue examine all aspects of volunteerism and the rise in professionalism in fundraising in recent years. Bruce Bonnicksen addresses the new roles of volunteers in development, highlighting both the changing reasons for working with volunteers and volunteer′s shifting expectations of fundraising professionals. Donald Zeilstra discusses a new paradigm for considering how professionals can work with and relate to volunteer fundraisers by implementing reciprocal learning in teams. 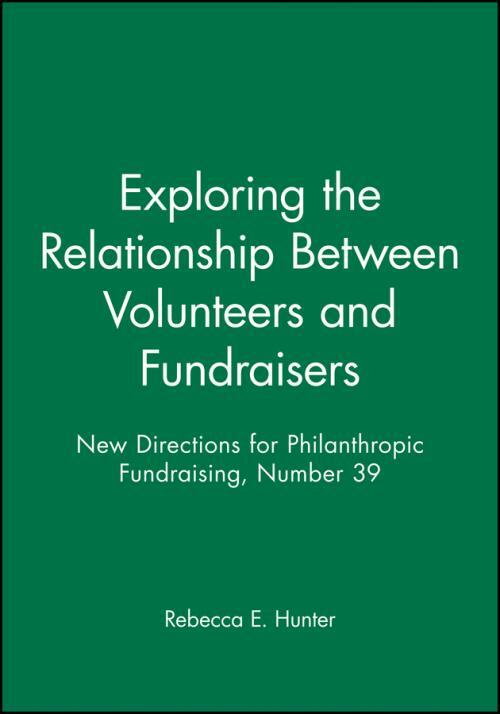 Contributors draw from research in the field for their analysis of volunteering and its relationship to fundraising. Linda Lysakowski presents the volunteer′s perspective with primary research drawn from 104 nonprofit fundraisers. Another survey of 140 development officers provides issue editor Rebecca E. Hunter the opportunity to analyze relationship building between volunteers and fundraising professionals. Kenneth Knox examines volunteer recruitment, training and management process in smaller organizations, and presents a case study on the Medical Society Fundraising Network. With a targeted survey of the top 25 small liberal arts colleges Jody Abzug and Rikki Abzug explore the specific roles of volunteers in fundraising efforts at that type of institution. A final case study of Everybody Wins! Foundation summarizes the issue′s primary themes and presents views from both sides of the table, with some volunteers actively engaged and others content to let the staff lead the charge.